An toiseach bu mhath leam na dùbhlain a chur mur coinneamh. Tha mi a’ dol a thoirt iomradh air fear, Joshua Fishman, a bha na ollamh aig Oilthigh Stanford sna Stàitean Aonaichte. Tha esan air leth cudromach ann an saoghal nam mion-chànanan. Part 4: Was the BBC biased in its referendum reports? Equal time is allocated to either side in BBC’s referendum reports. But can the Bank of England’s view be balanced by that of a small think-tank? The Mòd is the annual week-long festival of Scottish Gaelic language and music. There were five choirs from Argyll competing. 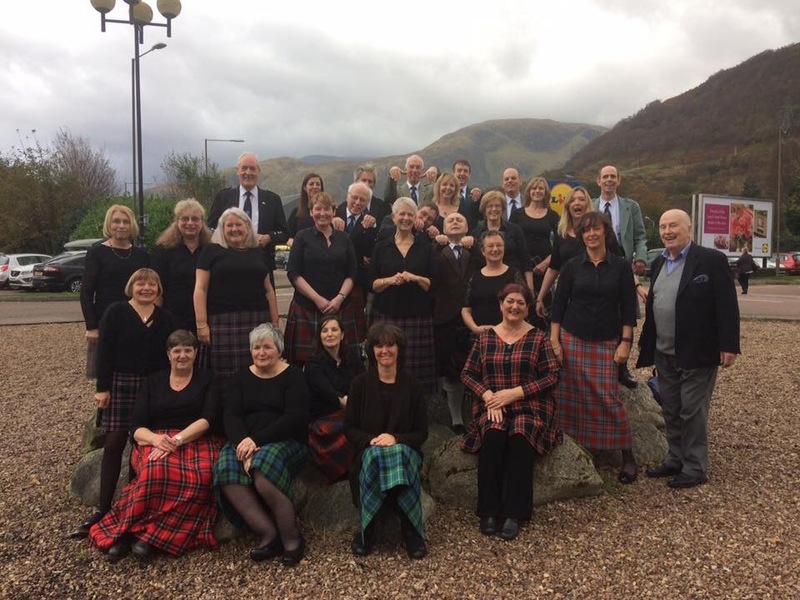 Còisir Ghàidhlig Thaigh an Uillt/ Taynuilt Gaelic Choir were the only choir singing in the Argyll dialect. They are second up at around 15 mins into the programme. Das große Familienfest zu Weihnachten findet in Großbritannien am Morgen des 25.12. statt. Soviel ist vielleicht noch bekannt. Aber in dem Land, in dem an Sonntagen das Einkaufen schon lange möglich war, bevor in Deutschland erste Geschäfte öffneten, geht an Weihnachten gar nichts. Das Fest der Christenheit ist hier hochheilig, was sich z.B. dadurch zeigt, dass im ganzen Land an diesem Tag keine Züge fahren. Iona Abbey; hier gründete 563 der aus Irland stammende Heilige Columba ein Kloster und war damit ein Mitbegründer des Christentums in Großbritannien. Heute besteht in der mittelalterlichen Abtei eine protestantische Laiengemeinschaft, die Iona Community. Einige Protestanten sehen den St Columba als Vorkämpfer des Protestantismus. This track was recorded during a practice inside the abbey on the Isle of Iona, one of the earliest centres of Christianity in Scotland. It is sung by Soisgeul, the only Gaelic language Gospel choir. The song is called St Columba’s Hymn, St Columba being one of the first Irish monks to bring Christianity and the Gaelic language to Scotland. Ràinig mi Eilean Ì air an ochdamh là as dèidh dhomh coiseachd à Clachan an Diseirt no Dail Mhàilidh air Slìghe Naomh Chonain. Chan eil fada bhon a thòisich a’ choimhearsnachd Chaitligeach an sin ris an slìghe seo a shanasachd. Choisich mise i thairis air beagan mhìosan ge-tà. Dh’fhàg mi ann an cuideachd Chalum agus Rut bho Chraig Lodge san Damhair an uiridh. Bha a’ chiad phìos gu math furasta air seann rathad an airm gu ruige Sròn nam Mialchon. iDoc, modoc or no doc? Will we still be watching documentaries in the future? Or will it be more of an interactive experience? This has been branded as webdocumentary or iDoc. Viewers, or should we say users, can choose where to go next in the story. Or will it all be replaced by virtual reality? And what is the relationship between documentary and journalism? Should documentaries be objective and balanced? Is it a good idea to shoot them on the mobile phone or is it always going to be second choice? As the keynote speaker, Prof Ramon Salaverría, pointed out journalism is about to change drastically making it much more tailored to our individual preferences and also making it much more experiential, including odours e.g. When I asked him about the future of documentaries he was pessimistic. Not so Prof Manuela Penafria who has written articles on webdocumentaries. A webdocumetary combines film with other elements such as maps, infographics and a forum. The viewer or user chooses where to go next. Great examples are Journey to the End of Coal and Cali, la ciudad que no duerme.